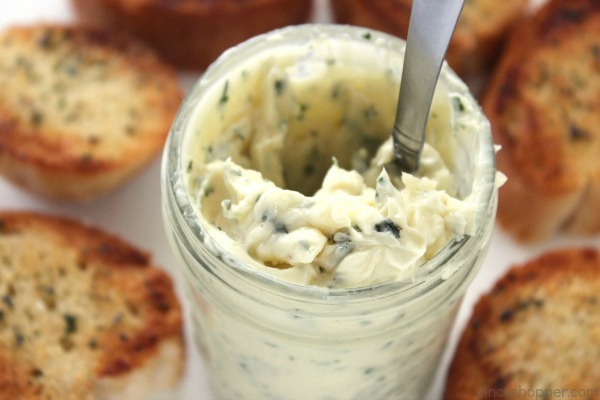 Make your own homemade garlic bread at home with this super Easy Garlic Butter Spread. 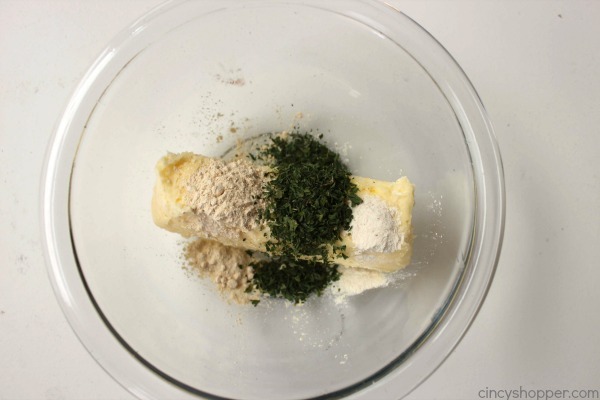 With just a couple ingredients and a few minutes time, you can serve up a tasty bread. So much better than store bought. We will quite often have a spaghetti dinner night. Most of the time, it is on Sundays. I can whip up a batch of Slow Cooker Homemade Spaghetti Sauce and a CopyCat Olive Garden Salad. I can have dinner ready with not much effort. 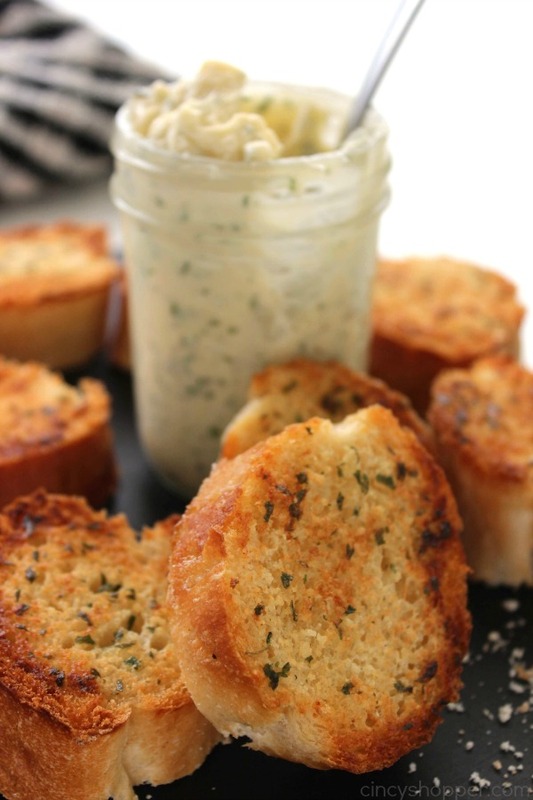 Spaghetti dinner is not complete without our garlic bread. 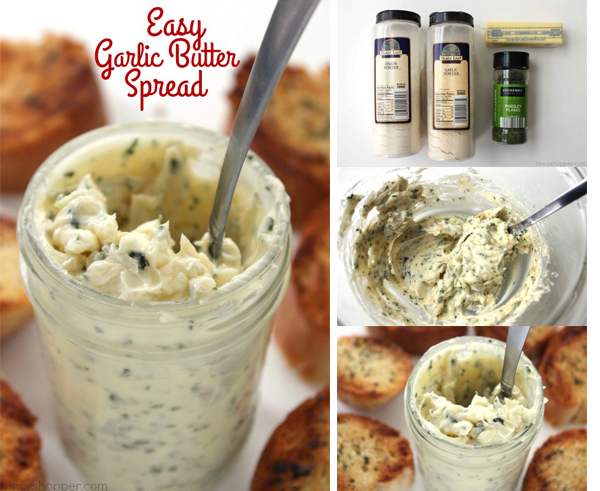 Making garlic bread at home is so super simple and tastes so much better than store bought. I usually grab a fresh French Loaf from the bakery at Kroger. 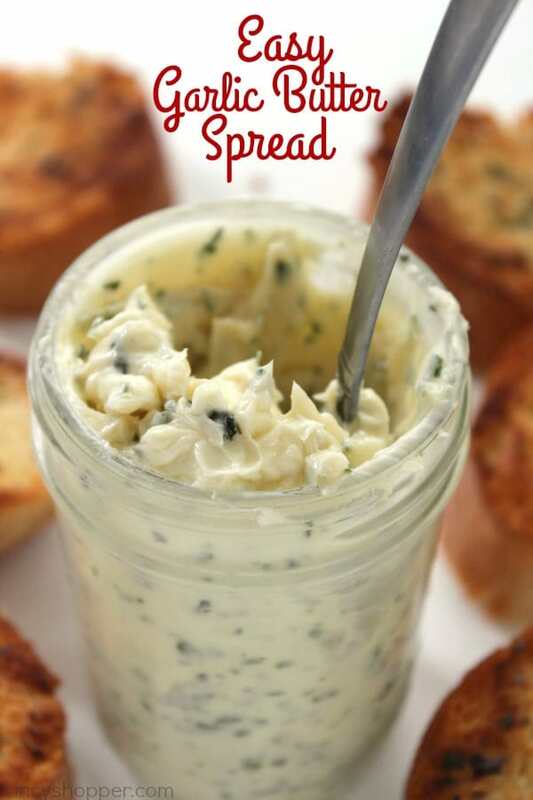 It is super inexpensive and is always fresh. I then spread my Super Easy Garlic Butter Spread on top and broil for just a few minutes. 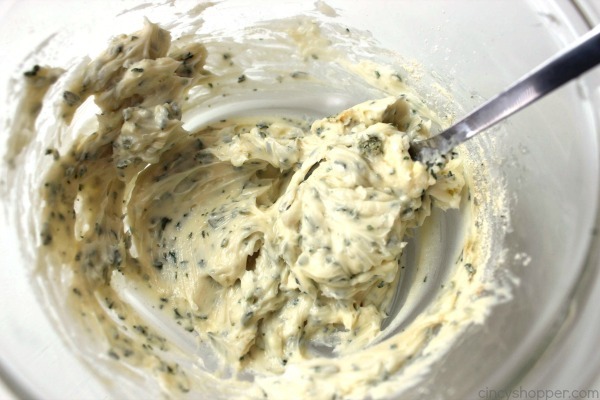 Grab yourself a stick of butter, garlic powder, onion powder, and some parsley flakes. Yup…. that’s all that is needed for this recipe. 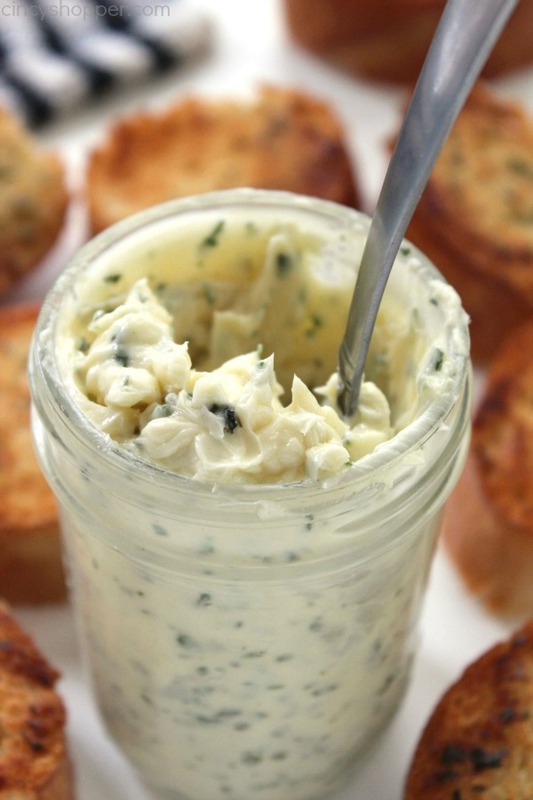 Lather your butter on your favorite bread and broil. 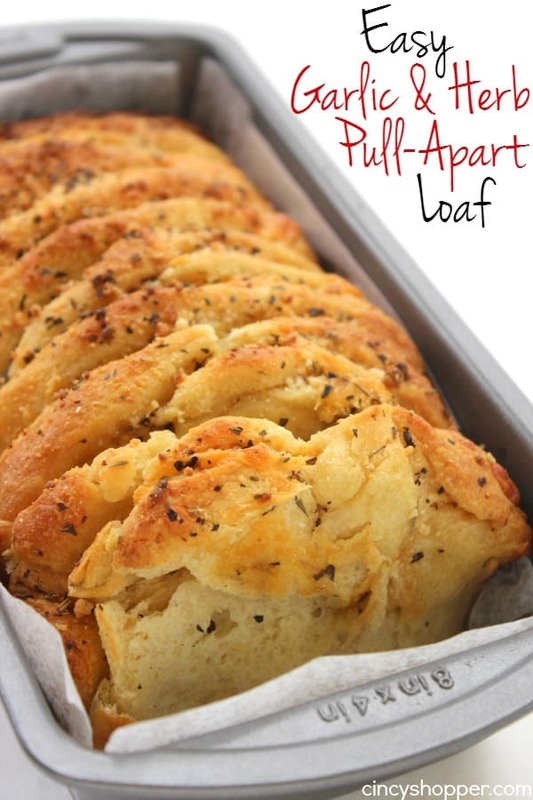 Do you have a favorite bread that you like to enjoy with your dinners. 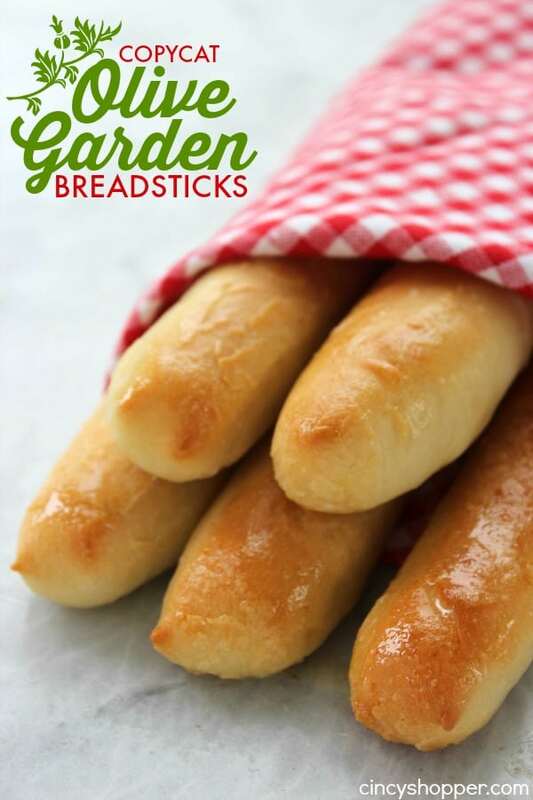 This garlic bread, and also our CopyCat Olive Garden Breadsticks, make for a great bread for dipping. Garlic Parmesan Smashed Potatoes are the best way to prepare potatoes and goes with any meal. I was so glad to have joined your mailing list otherwise I would have missed them. 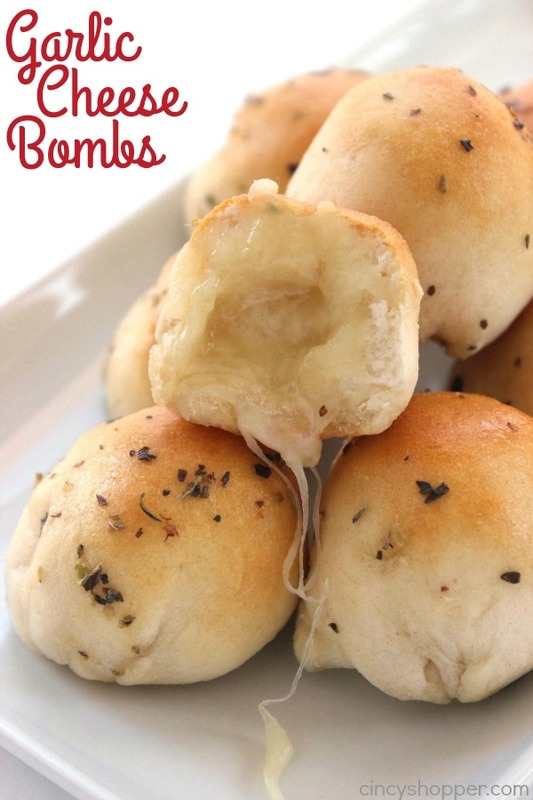 Thanks for having such easy access to your site and for the wonderful recipes !!! 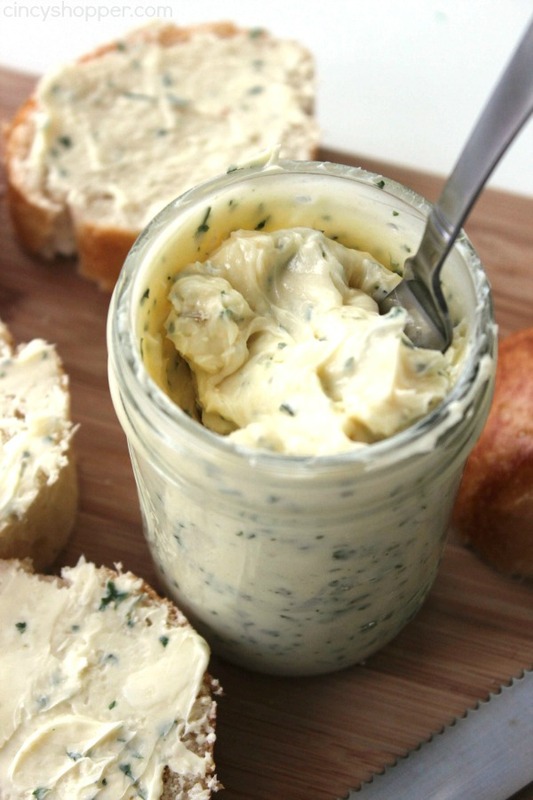 Garlic bread is one of my faves and this garlic butter looks delicious! Thanks for sharing at Merry Monday this week! Thanks so much for sharing this. I am planning an authentic Italian dinner party and am making my own bread, and this will be wonderful to use on it. 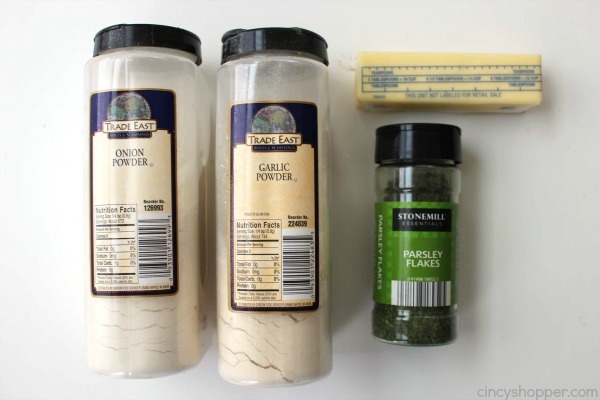 However, I would like to use fresh garlic… How much garlic cloves should I use instead of garlic powder? I’d recommend sautéing the garlic (I think 1-2 cloves finely minced would be good – but you know how much your family loves garlic) in a little bit of the butter first til softened to take out the raw garlic taste, then adding back to the rest of the mixture to blend it all and stick back in the fridge. How long does this butter keep for and do I refrigerate it. Hi Ali!I keep a container in my fridge. It never lasts much longer than a week around here. I am sure it would stay good for quite some time if you refrigerate. Yes, I would also like to know how much fresh garlic versus garlic powder. Thank you!